Established in 1945, Roosevelt University has an outstanding location in downtown Chicago, which allows international students to reap all the opportunities of studying in one of the best cities in the world. A private, mid-size, urban university, Roosevelt University is distinguished as the 4th most ethnically diverse university in the US Midwest region and is committed to ensuring its graduates are well-rounded, community-minded citizens driven to be socially conscious and progressive leaders. Subject Strengths: Social Sciences, Social Justice, Sustainable Development, and Hospitality and Tourism Studies. Downtown Chicago is where academics, culture, commerce and recreation come together. The 3rd most populated city in the USA, Chicago is home to many Fortune 500 companies, and world-class attractions. The university building houses University residences for more than 600 students. Modern, air-conditioned rooms offer breathtaking views of the city of Chicago and Lake Michigan. A dining hall, fitness center, student services such as career development and academic advising, and student activities and organizations, are conveniently grouped on floors 1 to 5. See below for a list of amenities near our campus. 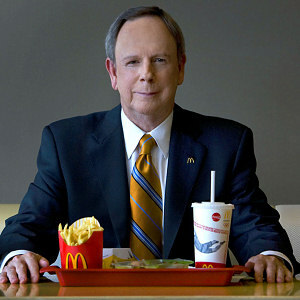 Jim Skinner was named CEO of McDonald's Corp. in 2004. Jim and his team increased McDonand's revenue from $50.1 billion in 2004 to $70.1 billion in 2008 by shifting strategies towards “faster, friendlier service; tastier food; a more appealing ambiance; better value; and sharper marketing”. Jim studied business at Roosevelt. Anthony Braxton is an American composer, musician, and philosopher who released well over 100 albums since the 1960s. Among the array of instruments he plays are the flute, sopranino, contrabass saxophones, contrabass clarinets and piano. In 2013, he was named a 2014 National Endowment for the Arts Jazz Master. Braxton studied philosophy at Roosevelt in 1964. 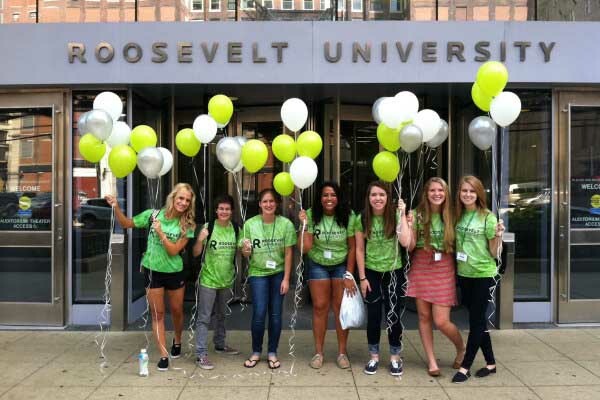 "The story of Roosevelt University is about the courage and power of individuals to change the world. It starts with one person taking one step ... and forging a community united around bold principles."